Iora Health has started from scratch and has reinvented primary care for the populations it manages on behalf of large self-insured employers. Rushika acknowledges that he can’t do it alone (even though his company got a niceinfusion of capital earlier this year), and wants Iora Health’s model to be emulated by others even as the company expands its reach within its existing geographic markets. The secret sauce is an intensive primary care service staffed with health coaches in addition to the usual suspects. The primary care service costs participating employers about twice as much as typical primary care services, but the results are anything but typical. In fact, they result in a net health care cost savings in the 15% range. [W]hat you find is that the primary care spend is higher, because that’s sort of the model, drug costs actually go up a bit, because people actually take their medications and they are more intensive about treating things. But emergency room visits drop in half, so about 48% drop in ER visits relative to controls, the admissions drop by about 40%, and the total spending drops by about 15%, net, when you take all of those things into account. So it’s a really big difference driven by better outcomes in care. 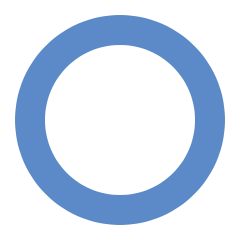 On the diabetes front, specifically, the Iora Health program has brought the A1C levels of at least half of enrollees with uncontrolled diabetes down to controlled levels. Additional programs addressing comorbidities have seen successes as well. David Harlow: This is David Harlow for Diabetes Innovation and I am speaking today with Rushika Fernandopulle who is the CEO and co-founder of Iora Health. Hello and thank you for speaking with us. Rushika Fernandopulle: Hi, it’s great to be on. David Harlow: Thank you, so I am wondering if, for starters, you could give us a thumbnail description of Iora Health? Rushika Fernandopulle: Sure. So Iora Health is a small healthcare services firm in, we are based in Cambridge, Massachusetts and our mission is to reinvent the model of primary care delivery. I think we know that the way we deliver healthcare in this country and despite good intentions and good people is embarrassingly poor. Our experience of getting care is poor, the outcomes we deliver are embarrassingly poor and it’s obscenely expensive. And I think trying to fix healthcare, a great way to start is with getting primary care right – it’s a great place to manage chronic disease, to help people navigate the whole rest of the healthcare system. And I think people recognize that and the Medical Home movement and the ACO movement are all sort of in this vector. But where we differ really is instead of trying to take existing practices and make them a little better and tweak them, our mission is really, let’s just start from scratch, let’s decide that we need to build a vision of where we want to go and let’s start over, break what people think are the rules and create a vision of where we want to go. David Harlow: So how does that translate into practice and what does an Iora Health clinic look like? Rushika Fernandopulle: Yeah, so in some ways if you think about the model, it’s a little like a three-legged stool and there are three components and I think all three are really important. The first is payment redesign, is if we want to get primary care right, if we want to get chronic care management right, we need to get out of the old payment model, which is essentially fee for service, pay per doctor sick visit. And then what we need to manage diabetes or any chronic disease right, is really a continuous healing relationship, and the way to do that is change the payment. And so we basically have a fixed payment model, sort of a primary capitation fee, pay us a fixed fee, let us now take care of the patient, however we think is the right way to do it and get the payment model out of the way. That allows us to do the second thing which is completely change the delivery model and it’s about wrapping a team of people around the patient, to help them proactively manage their health better. It includes, obviously the doctors, but a big component are people we call the health coaches. They are people from the community, who speak the language of the people they serve, and help people with all the blocking and tackling they need to actually manage their condition. It’s making a plan and getting educated and being motivated and kept accountable and someone you could call for help, et cetera. We interact with patients in a variety of ways, not just in personal visits, but email and video chats and text messages. We do a lot of group activities, so for instance we run diabetes clubs in most of our practices, where people can get together and sort of think about what their — how they can support each other. We reach out to people as opposed to waiting for them to come in to see us. We integrate mental health in the practice, so really kind of a completely different practice model. And then the third part of that triad, the three-legged stool is the IT and analytics platform, is when you try to do this completely different care and instead of trying to see one patient at a time in the fee for service model, really what we are doing is we have a population of folks and we are trying to improve their health and keep them out of trouble. You realize you need a completely different IT system than what’s out there despite all the hoo-hah. So we have been developing our own that sort of supports the care model. David Harlow: So it sounds like you are really talking about a care model that encompasses more than traditional healthcare and other sorts of supports for people in their communities as well. Rushika Fernandopulle: Absolutely, the whole principle is we want to help people improve their healthcare and again, in this conversation, improve their diabetes, for instance, we have to go more than just having to see a doctor every three months, that’s silly — thinking that’s going to fix the problem. 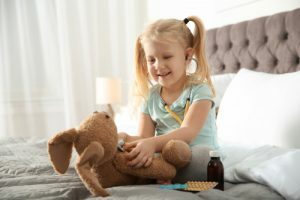 It’s really sort of creating a set of resources that wrap around the patient and their family that allows them to sort of manage complex conditions. David Harlow: So for the diabetes population specifically, you mentioned a club, so there is patient to patient communication, you mentioned health coaches who were in touch by phone and I suppose electronically in between in-person office visits. And are there other specific educational materials geared to persons with diabetes or other sorts of resources that are made available? Rushika Fernandopulle: Absolutely. We have a number of educational resources that we use. We contract with a company called Healthwise, where our coaches can prescribe approved materials to patients depending on their stage of where they are in the disease and what their particular issues are and so that’s a nice educational tool. Again, we do a lot of one-on-one with patients making a shared care plan. We have a lot of protocols we use about step therapy, of how we sort of increase the sort of medications that are needed. We work with nutritionists and some exercise folks to try and create a plan for people to improve their eating and their activity levels, even to the point of actually going to make grocery store visits with people and so teaching them to read food labels and how they can change their diet. 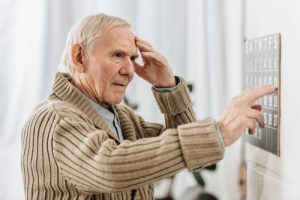 And then the other piece, but yet not to be underestimated is the mental health integration, that what we found is for so many people who have got diabetes, that there are sort of coexisting mental health conditions like depression or anxiety that get in the way of trying to optimally manage it. And if you can’t sort of fix those problems, it’s hard to sort of deal with the medical issues. David Harlow: Absolutely. 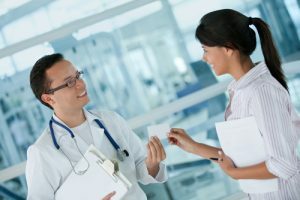 So as you said, this is more expensive than a typical primary care practice and you said, I believe, it was approximately double the monthly cost of a typical direct primary care arrangement? Rushika Fernandopulle: Yeah, so it’s primary care, this is sort of the dirty little secret in healthcare, that primary care is typically about 4% of the healthcare dollar, which is silly, that we are expecting that 4% will improve people’s health and manage all these complex conditions and 96% of what we spend is on fixing the problems once they happen, whether people need an amputation, or dialysis, or a hospitalization. And we just think that’s a stupid investment philosophy. So what we ask for is roughly double the typical primary care that is invested in these health coaches and the technology and the time and the clubs and the mental health and all those things that we think work. And then all we need to do is show that we can save 4% on the back end, right, keeping people out of the hospital, the emergency room, the specialist’s office, the cath lab and we have been able to show much more impact than that, even in a short period of time. David Harlow: I can imagine that you would. 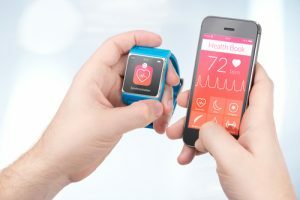 The question then is how do you connect with the rest of the healthcare system and is there an insurance product that will pay for your clinic services directly as part of a larger benefit package? Rushika Fernandopulle: Yes, our model today with our early projects have been working with what are called self-insured payers or employers, working with the people who are on the hook for healthcare costs. So we did a project with the casino workers union trust in Atlantic City that provides healthcare to 25,000 hotel and casino workers in Atlantic City and their families. We did a project with the Boeing Company in Seattle, again for Boeing employees, we are doing, we have a practice in Las Vegas for a similar group of casino employees. We have our practice in Hanover, New Hampshire for Dartmouth College employees. And again the way it works is here the person on the hook for cost, the employer or the union trust pays us the monthly amount to provide primary care for people. They still have their old health insurance and so once they need something downstream like an MRI or a hospitalization or an ER visit, they just pull out their insurance card and that goes through the insurance system. And then what we do, is we take a look at the end of the day of what the cost of all of that stuff is for our patients versus the people, you know, what would have happened if they didn’t come to us and then take a look and see, you know whether we saved them anything. David Harlow: Sure, do you see an opportunity for expansion — is this something that fits within the definition of direct primary care that could end up in state health insurance exchanges? Rushika Fernandopulle: So absolutely, so this is really direct primary care. The slight difference is in general the patients themselves aren’t paying this money, you know we are getting their payer, the personal hook for their cost to pay it. In general, I think, you know asking patients to pay extra when they are already paying for insurance, seems a little silly. The problem in US healthcare isn’t that there is too little money in the system, so we need patients to put more money in, the problem with healthcare is there is an obscene amount of money in the system, and we need to take money out of healthcare and back in people’s pockets. So that’s why, we sort of evolved to this model, we do have a few practices which we are building, where patients will be able to sort of pay themselves, if that’s what they choose to do so. But in general, our model is working with the payer and I think we are now talking to a number of partners, about being able to bundle health insurance plan with our direct primary care practice, if you want to call it that, and be open to individuals on exchanges or in other ways. David Harlow: Yes, and then are your clinics sited at work sites or elsewhere in the community generally speaking? Rushika Fernandopulle: So we are not on worksites, because even with employed populations, at least half the problems are the spouses, right? — or the dependents. And so on the worksite, it makes it hard for them to come in for all sorts of reasons. So we typically site near our worksites, so for instance in Hanover, New Hampshire, we are not on campus at Dartmouth, we are in Hanover, which is a town that’s right next to the college campus, we’re a few blocks from campus. In Las Vegas, we are not in any of the casinos or hotels; we are across the street from one. We are on Las Vegas Boulevard across the street from the Stratosphere. So again we are sort of near sites where we think our population is, but we are in a place that’s accessible and easy to get to for both employees and spouses. David Harlow: So other than diabetes, are there other particular diseases or conditions that you are focused on as opportunities to improve health and avoid downstream healthcare interventions? Rushika Fernandopulle: Yeah, so again, this is not a diabetes program, this is a primary care program. You know the problem with creating a diabetes program is the obvious problem, that people with diabetes also have other conditions. You know virtually everyone with diabetes, also has hypertension and heart disease and depression, et cetera. These things travel together; they are probably part of the same sort of syndrome. So we create plans for people and focus on kind of the patient and not the disease. That said, diabetes is an extremely common condition and it’s something that we can make a big impact on. So I will give you an example, we have our practice in Las Vegas which is focused on sort of the sicker part of the population. And there we have about 1200 patients right now, 57% of them have diabetes, about 46% have hyperlipidemia, 55% have hypertension, about 55% have a BMI over 30 meaning they are obese, about 6% have kidney disease, 15% have COPD or lung disease, about 25% have a diagnosed mental health condition. You notice, by the way, those numbers if you add them up, add up to a whole lot more than a 100% and it’s because most people have more than one of those things. David Harlow: Sure, there is tremendous opportunity to help folks in the primary care setting and avoid other services and other costs further down the line. David Harlow: Are you able to share with us the range of savings that you have achieved in implementing these services? David Harlow: We have certainly seen that actually happen before. Rushika Fernandopulle: You have seen that before, absolutely. So we are very careful that everyone in our practice that our goal is actually improve people’s health, by the way that’s going to save money in healthcare. So we always look at three things together, actually four things together. One is patient experience, the patient has to like it, right, it shouldn’t be done on the backs of patients. And patients love our practices, we track a thing called Net Promoter scores which is something that a lot of service businesses do. And they are sort of through the roof, there at levels above what, you know even the sort of paragons of service, like Amazon and Apple and Trader Joe’s are able to achieve. The second: we track clinical outcomes carefully and so there are a lot of well-established clinical outcomes for people with diabetes, for instance. So what percentage of folks have their A1Cs under good control? What percentage of people have their blood pressures under good control? And in all those we can sort of cut the number in poor control in half. So again, in our practice, people come in, about 20% of the folks who come in with diabetes, are out of control, their A1C is over 9 and we can drop that to about 11%, and to actually drop it down to below 10% now. In terms of hypertension control, people with diabetes come in about 30% of them are actually out of control and we drop that to 15% and similar numbers for cholesterol control. So we can do a really good job, we get about half of the people to quit smoking, et cetera. If people come in with an A1C over 9, we can drop them an average 2-1/2 points, that’s a big, big difference. And then on the spending, what we have done and we have actually looked at some control group studies, where we take the people in our practice, we have an independent academic match them to someone who looks like them in the population, same sort of demographics and spending level and diagnoses, and then follow the two groups across to try and figure out, you know what was the difference between them, and what you find is that the primary care spend is higher, because that’s sort of the model, drug costs actually go up a bit, because people actually take their medications and they are more intensive about treating things. But emergency room visits drop in half, so about 48% drop in ER visits relative to controls, the admissions drop by about 40%, and the total spending drops by about 15%, net, when you take all of those things into account. So it’s a really big difference driven by better outcomes in care. David Harlow: Well, that’s very significant on both fronts, on both the outcome and the cost front. I am wondering if we could return to something you mentioned earlier which was the notion of prescribing information via Healthwise and what you think about the whole notion of prescribing apps, smartphone apps, for example. Rushika Fernandopulle : You know, I think that there is a real role in to use technology, to try and help people manage their conditions like diabetes, I think it’s sort of misguided to think that technology by itself is going to be the only solution for most people. You know I think maybe some people who are young and hip and to be honest, who it doesn’t really matter, they are going to manage their condition well themselves, it might be true. 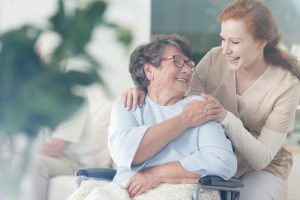 But for the vast majority of people, we take care of who are older and sicker, we actually firmly believe that the right model is sort of the technology plus the people, it’s a human being who cares about you, who you can reach out to for help and keep you accountable and then that, plus the technology is the sort of the real solution. So yes, technology is important, but it’s got to be in the context of sort of trusting relationships. David Harlow : Absolutely and it sounds like you have been able to build that sort of relationship with quite a population, so how many folks are currently enrolled, or are patients at your clinics and how many clinics do you have nationwide? Rushika Fernandopulle: Yes, so we have four practices that we own and operate ourselves. I mentioned Las Vegas, Hanover, New Hampshire, Brooklyn, New York and then here in Boston. We have a little over 5000 patients across them and again the significant chunk of them, you know have diabetes, because a lot of people have diabetes in these populations. We also, we are planning to open three more practices by the end of the year and so we will probably up our number to probably 7000 or so by the end of the year. And in addition there are several practices, where we, early on, were working with existing health systems, I mentioned Atlantic City and AtlantiCare which is the health system and the Boeing projects which were with systems at Virginia Mason, and the Everett clinic and there are several thousand patients in those practices as well. David Harlow: I see, so these are not owned clinics or practices, but places where you are partnering with other providers? David Harlow: Yes, and the Atlantic City example was I believe featured in an Atul Gawande piece a couple of years back. Rushika Fernandopulle: Yes, about two years ago, a very nice article about our Atlantic City practice. David Harlow: Right, so there is certainly a lot of interest in this approach and so what do you see as the future, do you see other folks adopting this sort of approach and greater focus on primary care? I imagine you are looking to expand over the coming years and what do you see as the landscape in this corner of healthcare? Rushika Fernandopulle: So our goal is to transform primary care and the way we are doing it is not trying to convince, study it or kind of consult on it, but simply to build a different model, to have people learn from us and sort of document that this can be done. And we hope that lots of people start copying us and start trying to play with these different models. I think we can fool ourselves to think that we can make little changes and improve our performance and our sort of insight is maybe we need to have the courage to make big changes in how we take care of these diseases and how we structure our practices. So our goal is to grow, our goal is to build a number of practices, you know across the country, with sponsors who are interested, who are again interested in sort of improving clinical outcomes and lowering the cost of care and are willing to try something different and not sort of simply keep doing the thing we are doing. And then we hope that we can inspire a lot of other people to try and do the same thing. You know we can’t possibly do this for everyone in the country, but hopefully by us doing it we can help influence other people to go in the same direction. David Harlow: Absolutely and I think the studies that you have commissioned and published will be a tremendous help in achieving that goal as well. David Harlow: Well, thank you very much. This is David Harlow with Diabetes Innovation and I have had the pleasure of speaking with Rushika Fernandopulle, CEO of Iora Health. Thank you very much. Rushika Fernandopulle: Great, thank you for having me.